How does someone qualify for Refer-A-Friend? 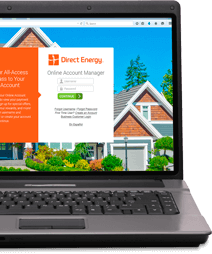 Where can I use my Direct Energy Visa® Prepaid Card? You can use the Direct Energy Visa® Prepaid Card anywhere Visa debit cards are accepted. Not in Indiana? Please Enter Your Location We would like to provide you with the most accurate information on on our offers, including available plans and pricing. Please enter at least your zip code, but you may also enter your complete address for more detailed information. Get an Echo Dot and fixed rate Indiana natural gas when you sign up for our Power on Command 24 plan.